Passengers travelling on nonstop flights from Abu Dhabi, Doha and Dubai to Australia will be subject to extra security measures that the government says have been brought in in response to national security advice. The measures include explosive trace detection screening, similar to what is in place at airports in Australia for domestic flights. There would also be “targeted screening of electronic devices”, Federal Minister for Infrastructure and Transport Darren Chester said in a statement on Friday. However, there is no ban on the carriage of electronic devices on board the aircraft, which the United Kingdom and United States recently put in place for travellers from a number of Middle East and North African countries. “I want to assure people that there is no specific threat to Australia,” Chester said. “In response to national security advice the Federal Government has made precautionary changes and instructed airlines to implement new protocols from next week. “The Government is continuing to ensure Australians and visitors who travel by air can do so in the knowledge that every precaution is being taken to ensure they arrive at their destinations safely. The four airlines that currently offer nonstop flights from the affected airports and are therefore impacted by the measures are Emirates Airline, Etihad Airways, Qantas and Qatar Airways. Two weeks ago, the US government announced it would require passengers on nonstop flights from 10 airports in eight countries to the US to check in all personal electronic devices larger than a smartphone, such as laptops, tablets, e-readers, cameras, portable DVD players, electronic game units and travel printers and scanners. Smartphones and medical devices will be permitted to be carried on board the aircraft. The UK government quickly followed with a similar ban, albeit with a smaller set of countries. The International Air Transport Association (IATA) has slammed the electronics ban, with its director general and chief executive Alexandre de Juniac saying it was “difficult to understand their effectiveness”. “The current measures are not an acceptable long-term solution to whatever threat they are trying to mitigate,” de Juniac said on March 28. Chester said the government would continue to monitor security developments and adjust security settings if they were necessary. “Australia has a comprehensive and strong transport security system in place to prevent acts of terrorism,” Chester said. Blowing our tax payer money again……. wow….. ain’t we all a bunch of sheep in Australia for the politicians and corporations to feed on! I’d be a bit more worried about flights from china or even Indonesia than the 3 big Middle East carriers. This decision makes no sense. Screening passengers “from Abu Dhabi, Doha and Dubai to Australia” suggests there are concerns about screening at those points of departure. However screening at the destination may be too late. 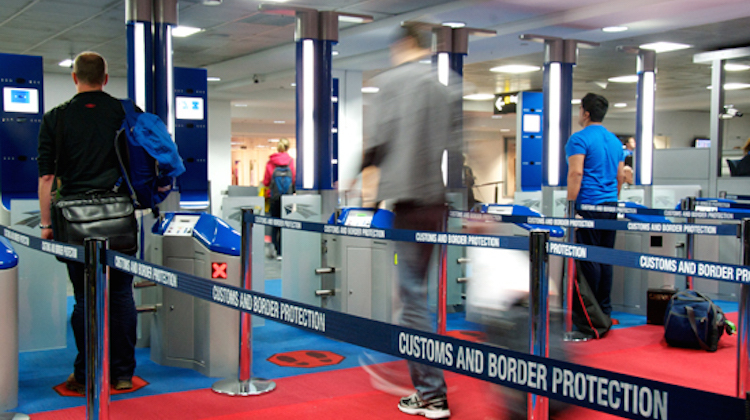 If a terrorist is smuggling an explosive device onto an aircraft, they won’t be waiting to clear Australian Customs and Immigration before acting. I flew London – Dubai – Bandar Seri Begawan – Melbourne just over 3 years ago. My only concern regarding security was at Bandar Seri Begawan where I was scanned with all the other passengers on my flight and then travelled through a corridor to the departure gate, passing passengers in the same corridor waiting to be scanned for another flight. In security terms it is called mixing clean and dirty, I hope they have fixed this.